I'm humbled. She showed me a few quick folds and before I knew it, I had a similar contraption to rest my chopsticks on. 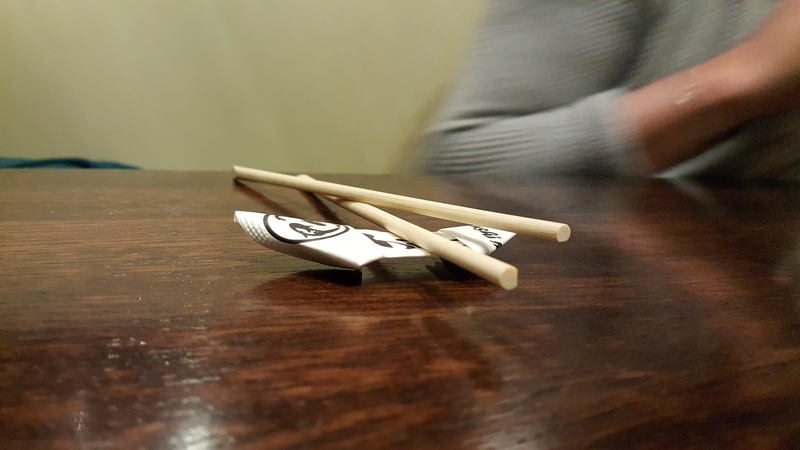 Turns out, Chopstick Wrapper Origami is a Thing and there are lots of recipes out there to achieve similar results. Here's a few to try: simple, bird, snail, boat and snake (sorry Sis!). Turn waiting for your food to show up into a crafting session? I'm in! That's right Nick, I had forgotten that your an origami master (to me, anyway). 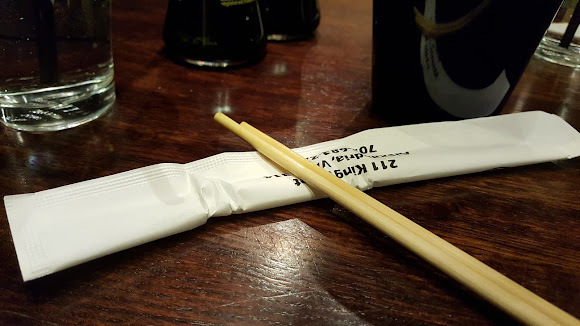 Let's get sushi so can train me in the ways of the fold!